This is another couple whose wedding I photographed and I am now lucky enough to photograph them as a family! 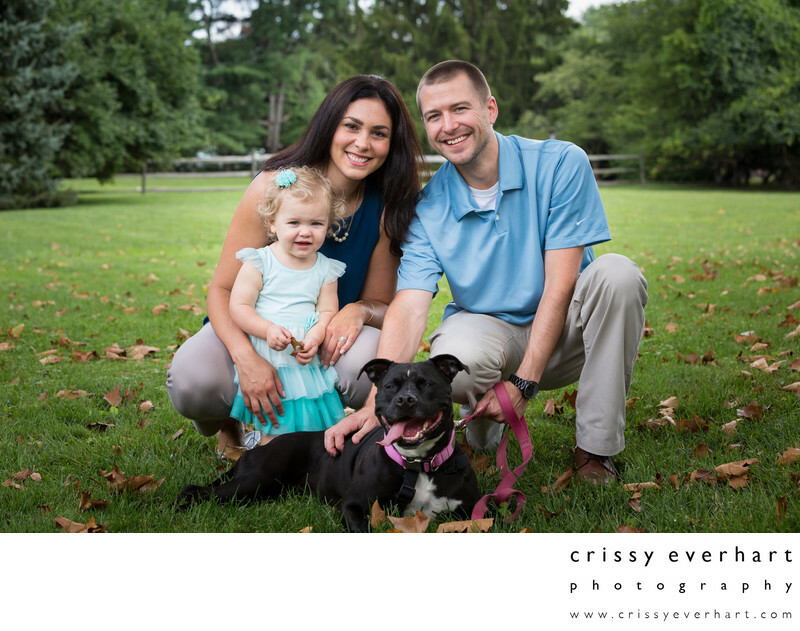 Mom and Dad and 18 month old daughter pose with their black pit bull dog outside the my Chester County studio in the summer. Plenty of lush green grass and trees are behind them, and they all smile and look at the camera, the dog with her tongue hanging out.